The Gods are showing no mercy on England. On a recent July day in Stratford-upon-Avon, the heavens let loose downpours that left pensioners clinging to their umbrellas and sent buckets of chrysanthemums rolling through the market. A few streets away, in the relative calm of a converted car dealership, a collection of thirteen Canadian, Irish, Australian, and English actors are sealed in one of the rehearsal rooms of the Royal Shakespeare Company (rsc). 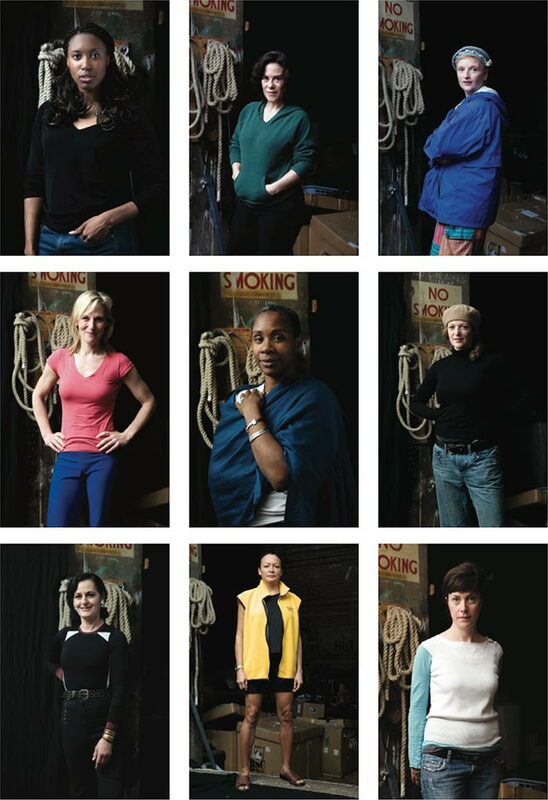 The all-female cast is attempting to bring to the stage an adaptation of the Greek myth of Penelope, wife of Odysseus, as retold by Margaret Atwood in her 2005 novel, The Penelopiad. Behind the rehearsal room door, the women wail, stamp their feet, and make other thunderous noises to suit the day. The rehearsal schedule reads: 11:30—The Slaughter. 12:30—Retribution. While Odysseus spent ten years fighting in the Trojan war and another decade wandering home via the Aegean, Penelope waited on stony Ithaca fending off a host of gluttonous suitors and keeping tabs on her increasingly petulant son, Telemachus. She became emblematic of fidelity, telling suitors she would marry only after weaving a shroud, which she carefully unravelled each night. After returning in disguise, Odysseus slaughtered the suitors and, as an afterthought, hanged twelve of Penelope’s maids in the Greek equivalent of an honour killing. Their crime? Sleeping with the suitors, though being raped by them would be a more apt description. The book is inherently theatrical. The maids comment on Penelope and their own fate in a series of sketches, laments, and songs dotted through the text. Phyllida Lloyd, who directed The Handmaid’s Tale opera in 2000, was keen to test out the theatrical potential of The Penelopiad and cast Atwood in the lead at a staged reading in St. James’s Church, Piccadilly, in London in 2005. The reception was positive—the Independent applauded Atwood’s “Ottawan monotone”—so the author finished a script that drew immediate interest from the National Art Centre’s Peter Hinton. The rsc saw it as a natural continuation of their Complete Works series and agreed to a co-production. After Stratford and Newcastle, it will have its Canadian premiere in Ottawa on September 17. Lloyd was busy with her own adaptation issues, namely bringing the musical Mamma Mia! to the screen, so the job was won by Josette Bushell-Mingo, an actor, director, and organizer of push, a group that promotes black theatre in the UK. Bushell-Mingo had long relished the darker elements of the Greeks. Through the window of the rehearsal room on this miserable July day, she gesticulates to the group of thirteen actors. Her body language hints at fear and large emotion. There is only one possible end to this particular episode of Greek tragedy: lunch. A rehearsal room at lunch is a place of lingering residual energy. With the actors gone, the production people bat around ideas between mouthfuls of tuna sandwiches. Veronica Tennant, the movement director and former principal dancer at the National Ballet of Canada, stands by a wall of photocopies of classic Greek poses. Warren Wills, musical director, taps away silently on his keyboard, and Bushell-Mingo paces her set—which at that point consists mostly of scaffolding and loose chairs. She is dressed in black track suit bottoms and a grey hoodie, her short hair interrupted by a grey streak. Bushell-Mingo’s most memorable acting role to date was as Rafiki, the wily mandrill in the London production of The Lion King, and when she starts her impersonation her eyes stretch to a childlike width. Her speech tumbles out with excitement—the diametric opposite of Atwood’s dry precision. Weeks later, and the punitive weather in Stratford had only worsened. The homes of two of the British actors were flooded. The water lapped up to within an inch of the door jamb at the house of Pamela Matthews, one of the Canadians. One of the English actors has been replaced, and the Canadians are learning about the hard slog of the technical runs in England. Of course, the crucial hanging scene has gone through a number of changes in an attempt to get that lingering image right. During tech week, Kate Hennig’s blog features titles like “First day of tech. Yikes,” “Slow and Steady Wins The Race,” and “Long Day and Birthday,” but the final elements are knitting together. Lighting designer Bonnie Beecher’s artistry has been sweeping the stage. The maid’s voices are becoming clearer.